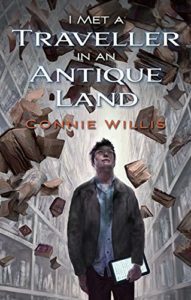 This month I review Children of Blood and Bone by Tomi Adeyemi, Armistice by Lara Elena Donnelly, and I Met a Traveller in an Antique Land by Connie Willis. When Black Panther was released in February, it set a new precedent for fantasy tales told with African and African-American characters. Granted, the fantasy genre itself already hosts black writers such as N.K. 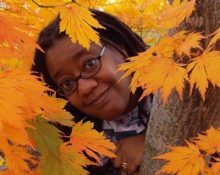 Jemisin, Nisi Shawl, and Nnedi Okorafor; now black writers are making inroads into other markets. 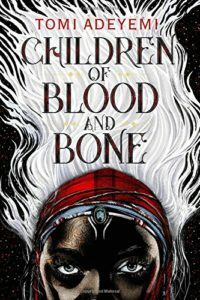 This is the case with Children of Blood and Bone by Tomi Adeyemi, which is considered YA fantasy. Magic used to infuse the land of Orïsha, and the gods spoke through chosen diviners. However, the king drove the power of magic away from the land and killed those who wielded it—including Zélie Adebola’s mother. Now, Zélie lives oppressed by a monarchy who calls her kind “maggots” and punishes them for their very existence. One day, Zélie comes across Amari, the Princess of Orïsha—who has stolen a scroll that comes alive with magic whenever a maji touches it. Despite the danger, and the pursuit of Amari’s brother, Inan, Zélie goes with Amari to gather materials that can fully restore magic and bring the gods back to Orïsha. The world of Orïsha is lush and beautifully crafted. From a wharf-side village to a desert arena, Adeyemi’s worldbuilding is a joy to read. This is due to Adeyemi drawing on her Nigerian heritage and Yoruba folklore to create a magic system based on balance and beauty as well as empathy and understanding. I also loved how magic and self-identity is portrayed in hair, which turns white based on how much magic is in your blood. Zélie is a reluctant hero, constantly fighting against self-doubt, anger, and most of all fear. “I am always afraid!” she screams in the book. “It doesn’t matter how strong I get, how much power my magic wields. They will always hate me in this world. I will always be afraid.” Fighting against fear and mistrust is a huge theme, and this is best personified by the Crown Prince Inan, who is filled with self-hatred, bent on pleasing his brutal father, and fearful of magic, especially when it starts to blossom within himself. Through a mental connection inadvertently forged with Zélie, he slowly begins to see her as less of an enemy. Their differing views on magic, however, ultimately clash—and it reminds me very much of the tension between black men and women as a whole. Even Princess Amari goes from timid, sheltered princess to a queen in her own right. The growing relationship between her and Zélie’s brother, Tzain, is one of the bright spots of the book. Many people have been calling this the next Harry Potter, but the book reminded me more of The Hunger Games in that these were young people dealing with oppression, trying their best to fight back, and getting destroyed in the process. The story deals with loss, grief, trauma, and the effects of abuse, yet there is also fierce hope and determination, even in the face of horror. The last half of the book was heartbreaking and it does end on a cliffhanger, but still, it was enough for me to eagerly await the next book. And if this book really does go forward into becoming a movie (it has been optioned for one), I will definitely purchase a ticket in advance. Lara Elena Donnelly’s debut novel Amberlough took the world by storm; it has been nominated for Best Novel in the 2017 Nebulas. 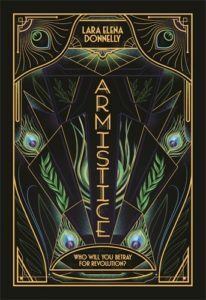 The second book in the series, Armistice, is slower on action than the first novel, but the subterfuge and political intrigue is still there. Cyril Depaul, the spy whose actions secured a victory for the fascist regime that now governs Amberlough, is gone. Is he dead? Is he missing? No one knows. His absence is most keenly felt by his sister, Lillian Depaul, a press secretary for the One State Party, and his former lover, Aristide Makricosta, a resistance fighter who has fled to Porachis, an alternate version of India in our world. As Lillian is pressed upon by her superiors to report the activities of a co-worker suspected of espionage, Aristide tries to forget his past by drinking and taking on a new lover. Everything changes when Cordelia Lehane shows up on Aristide’s doorstep. A former stripper now turned revolutionary, Cordelia is trying to lead her insurrection group, the Catwalk, from afar. The three of them find themselves walking a tightrope of secrets and dangerous knowledge, and they must reluctantly work together to keep themselves from toppling over, or worse, getting caught. Armistice is decadent and glamorous on the surface, but the celebrity glam is a cover for shady dealings. Everyone in the book is involved one way or another—especially Pulan, the queen of Porachis, who is ruthless and shrewd in using her position to protect her country while using the façade of putting on a picture show. Donnelly also does some switching of gender roles and family dynamics, where women can have wives and be the main household providers, which is refreshing in their normality. I like how she distinguishes between two languages: Gedden and Porashtu. She also does very well in showing the tension between her characters: A dinner party that takes place in the second half of the book is a study in friction and distrust. Probably the most intense part of the book is the planning of a heist that could endanger a young boy’s life. That said, Armistice felt more like Donnelly was maneuvering players into place for the third book, which is sure to have a lot more fireworks. Still, Donnelly’s use of language and wit made this book a delight to read, and, like Children of Blood and Bone, made me anxious for the next book in the series. When I sat down to read this novella, the news had just come out that Barnes and Noble had just laid off their full-time workers, with the internet saying this is a prelude to their demise. This is not new—the demise of the bookstore has been predicted since Amazon came on the scene in 1994 and since the advent and growth of ebooks and ereaders. Larger bookstores such as Borders closed; independent bookstores are barely hanging on. But books will still be around. Whether in print or in digital form, books will always be around, right? This is a question Connie Willis tries to answer in her novella I Met a Traveller in an Antique Land. It’s a quick read—it took me half an hour to read it. And then I read it again, much slower, more thoughtfully. A famous blogger who promotes digitizing books arrives in New York for an interview, but gets waylaid by a storm. He stumbles onto a building with the curious name of Ozymandias Books. It appears to be simple bookstore, complete with shelves stacked with books and even its own cat. However, as he wanders the shelves, he notices that he has never heard of any of the books, and they are categorized in an odd way. Eventually, he meets a worker named Cassie, who leads him deeper into the bookstore, which has grown more labyrinthine and vast than possible. For those who have fantasies of going into a bookstore and getting lost, this is the story for you. However, Cassie and the blogger have an interesting conversation on the nature of books, the many, many, many ways books could meet their demise, and Ozymandias’s true purpose. By the time the blogger emerges from the bookstore, he’s not so convinced that digital books are the best way to go. Which begs the question: What makes a book valuable? Are print books more valuable than digital books? What’s wrong with cataloguing books digitally? It’s just another format. Why do we keep books, even when their covers tear and the print smudges and the papers get torn? What makes a story worthy of remaining in print? When Willis’s blogger stumbles out of Ozymandias, his outlook on digitizing print books is much different from when he entered it. I don’t know if I necessarily agree with Willis’s sentiment that all print books are worth saving (one of the books in Ozymandias is a picture bio of Leonardo DiCaprio. Really?) If all books contain information, then one can argue that the whole of the internet should also be archived for posterity somehow. But still, for a short novella, it got me thinking about books and their longevity. On my bookshelf at home, I have a copy of The Wind in the Willows that I’ve owned since I was a child. The binding is broken, several pages are missing, there are some pages where I scribbled portraits of my six-year-old self, and a color portrait of Mr. Toad and a train conductor appears twice due to a printing error. I can easily get a better, nicer copy of The Wind in the Willows, but I won’t. I love this book. I also know that, with The Wind in the Willows being a classic, it’s in no danger of going out of print. I will always be able to go out and get it in some form. Can I say the same for all the other books that are sitting on my bookshelf now? LaShawn M. Wanak is a graduate of the 2011 class of Viable Paradise. Her fiction has been published in Strange Horizons, Daily Science Fiction, and Ideomancer. She served as Associate Editor at Podcastle, and has written nonfiction for Fantasy Magazine, the Cascadia Subduction Zone, and the anthology Invisible 2.